This is the sequel to Firefly Lane. It is 4 years later. Katie has died, and Tully has lost her job and her fame and is drinking heavily and taking Xanax for panic attacks. Johnny's eldest daughter, Marah, has run away from home at age 20 and he hasn't heard from her in a year. The families have not recovered from Katie's death and realize that she was the glue that held them all together. It takes a life threatening accident that Tully has to bring the families back together and realize what they meant to each other. They start to mend old wounds and stitch their lives back together in Katie's absence, knowing this is what she would have wanted. This was a pretty good book. 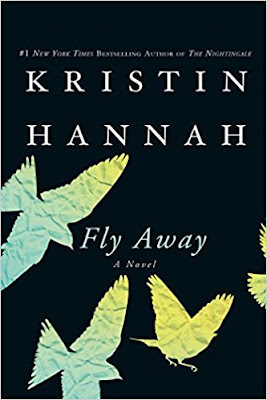 I do like Kristen Hannah's writing, and Firefly lane was one of my favorite (yet soul crushing) books. I was excited to find this sequal in our local public library here in Switzerland, because I wasn't aware that there was one. I did roll my eyes a few times at the "love and hugs" sections near the end when everything worked out well. But for the most part, it was a well written story. I think a lot of it could be reality when a family loses their strongest family member and doesn't know what to do in their absence. What happens when all the well wishers have expected you to be over your grief, and moved on with your life, and you are not. You wouldn't want to think that your difficult teenage daughter would run away and basically be homeless because she couldn't deal with her mother's death, but the reality is - without good support, that could happen easily. I say check it out. If you read Firefly Lane, you will love this book.